When we’re on the road, lunchtime can turn into a mini, yet highly avoidable, crisis. The problem is lunch shows up right in the middle of the day, just as we’re getting into the swing of things. We don’t want to stop to make a proper meal, but without any planning, we don’t have anything quick on hand to eat, either. So we do the most logical thing: ignore the problem and hope it goes away. As surprising as it might sound, this approach doesn’t work. (Believe us, we’ve tried it hundreds of times). Skipping lunch has never turned out well. We just get more and more hangry and eventually succumb to making regrettable fast food decisions. But it doesn’t need to be this way. 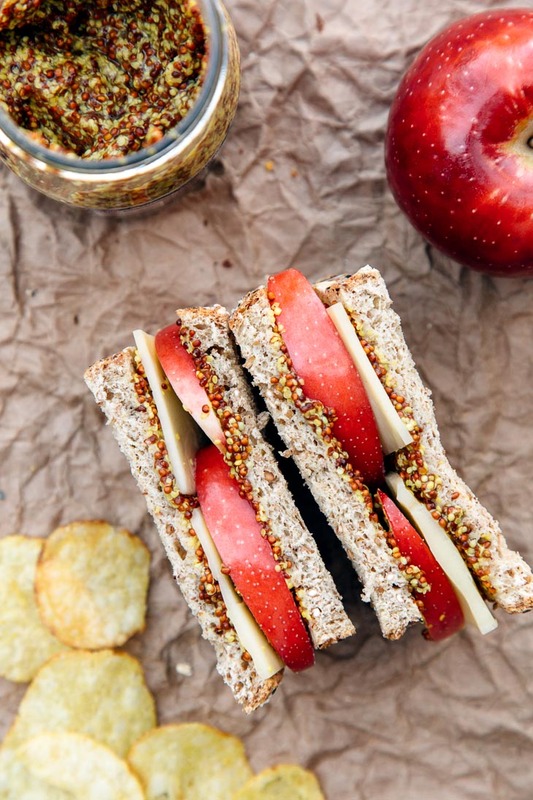 There is a solution to the lunchtime dilemma: sandwiches! 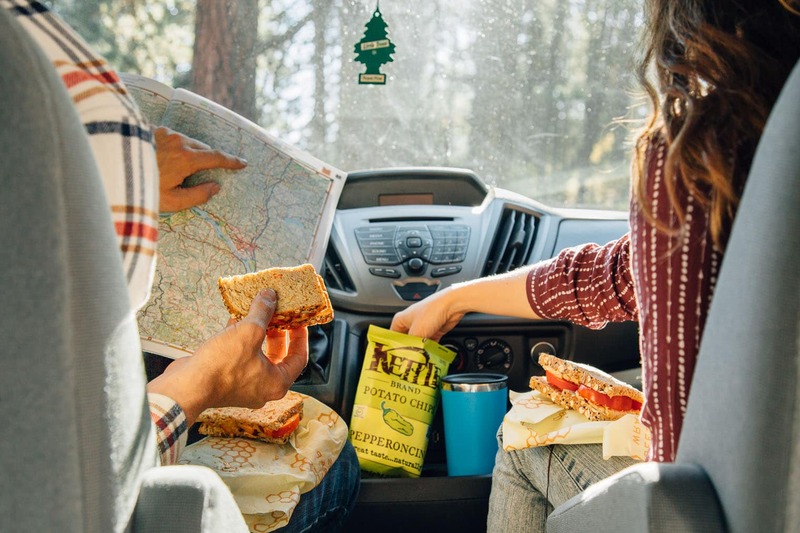 Often overlooked, sandwiches are the ideal lunch for road trips and outdoor adventures alike. They are quick to make, highly portable, and completely customizable. While you can make a sandwich out of pretty much anything, it’s nice to have some ideas to get you started. We’ve come up with 5 super easy sandwich ideas that use 5 ingredients or less. In our opinion, the simpler, the better. Also, most of the ingredients in these sandwiches don’t require refrigeration, so you can make them even if you’re traveling without a cooler. The next time lunch comes around, be prepared. 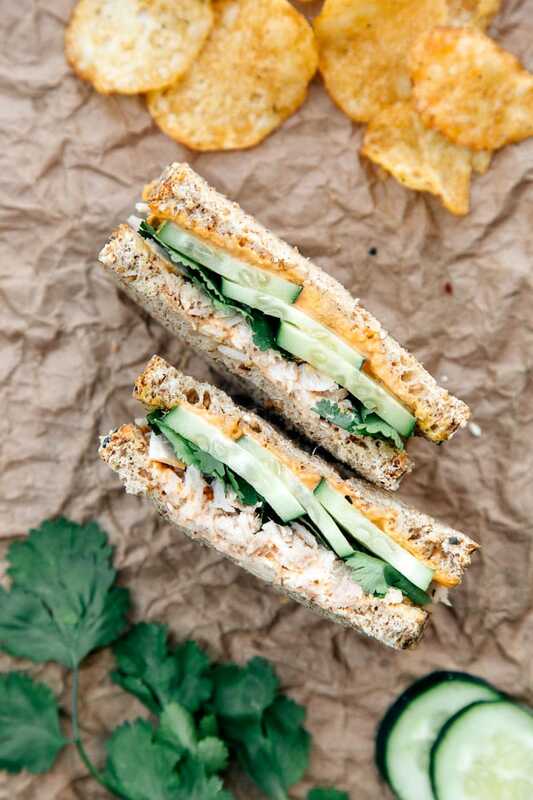 Make one of these sandwiches, paired with a bag of Kettle Brand chips, and lunch on the road will never be a problem again! Spread the mustard on both slices of bread. 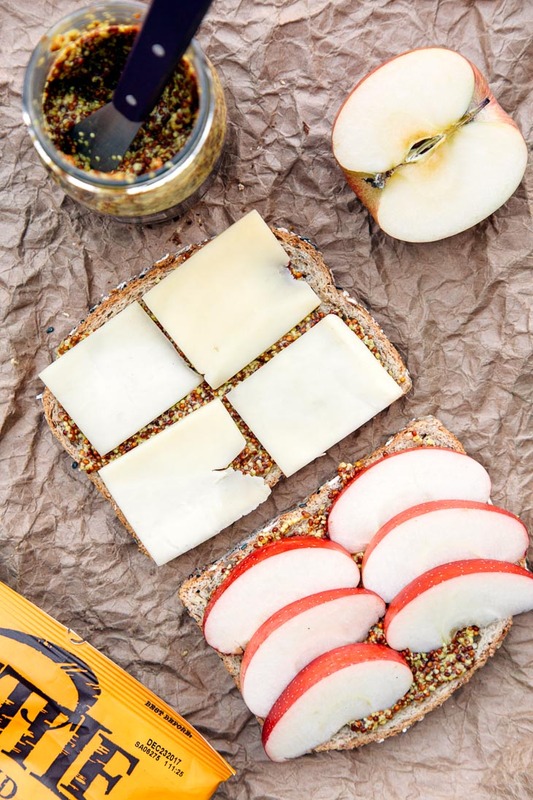 Layer the apple & cheddar on one slice, then top with the second piece of bread. Spread the Sriracha mayo on both slices of bread. 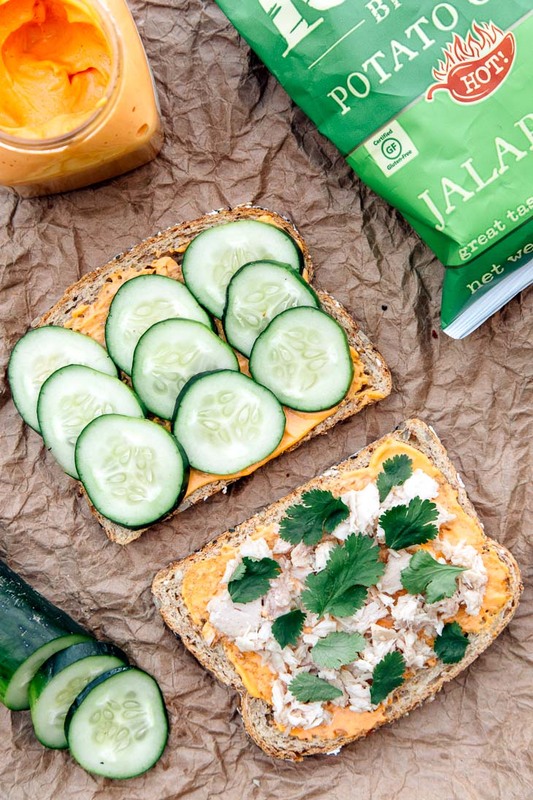 Layer the cucumber, tuna & cilantro on one slice, then top with the second piece of bread. 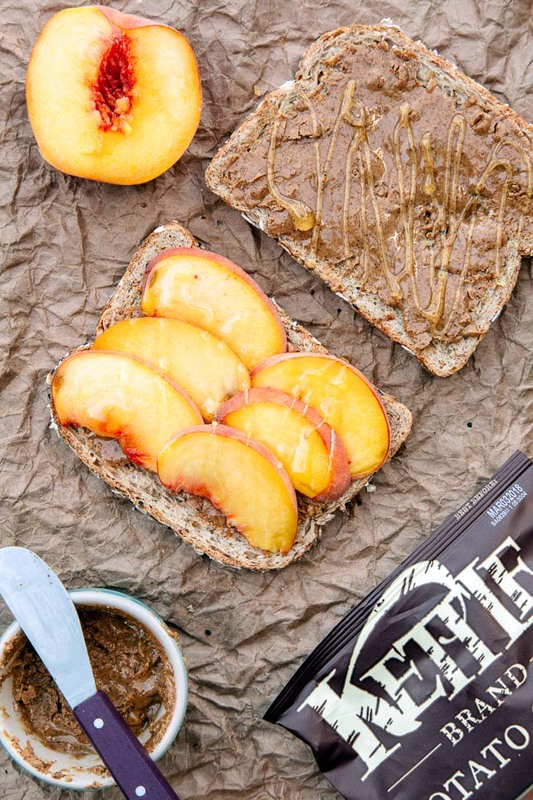 Spread the almond butter on both slices of bread and drizzle with honey. Layer the peaches on one slice, then top with the second piece of bread. 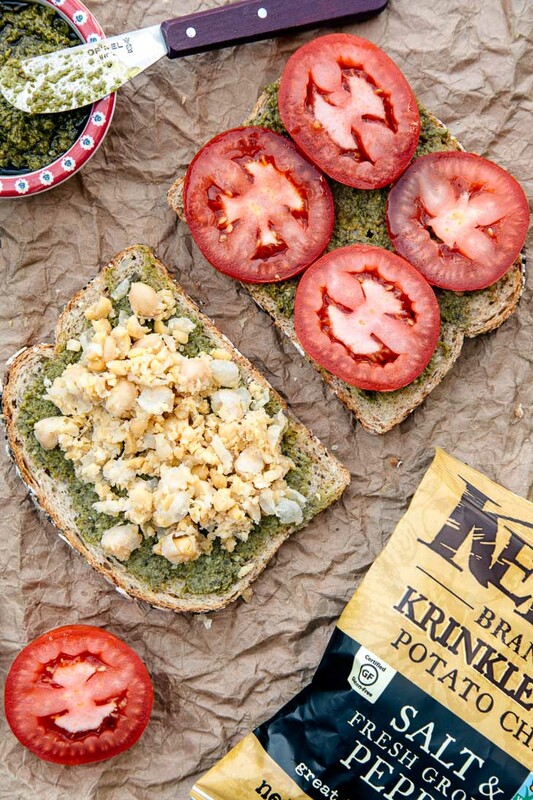 Spread the pesto on both slices of bread. 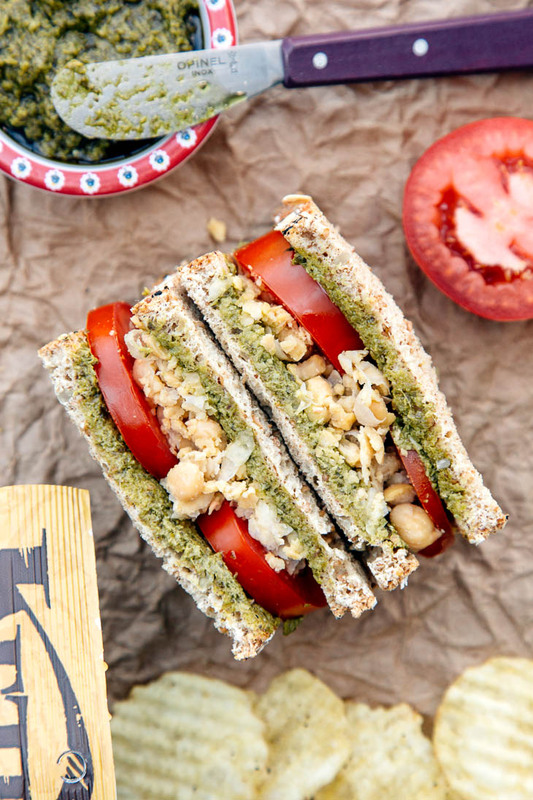 Layer the smashed chickpeas and tomatoes on one slice, then top with the second piece of bread. 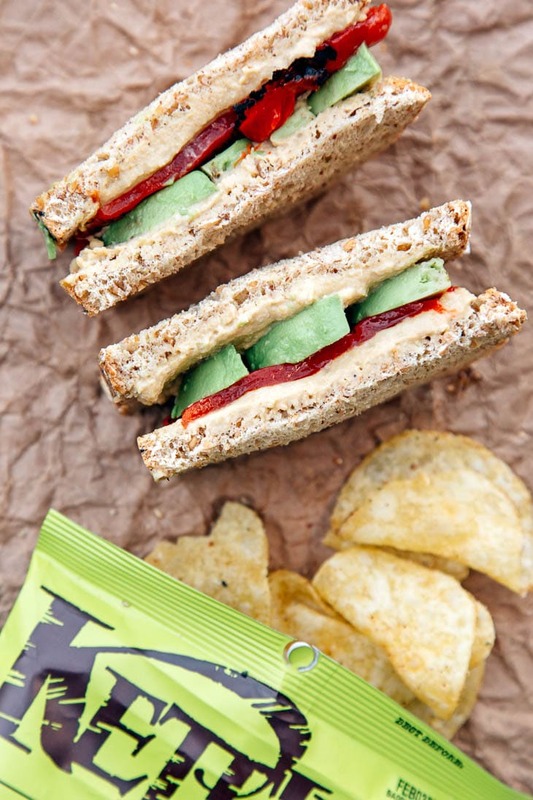 Spread the hummus on both slices of bread. 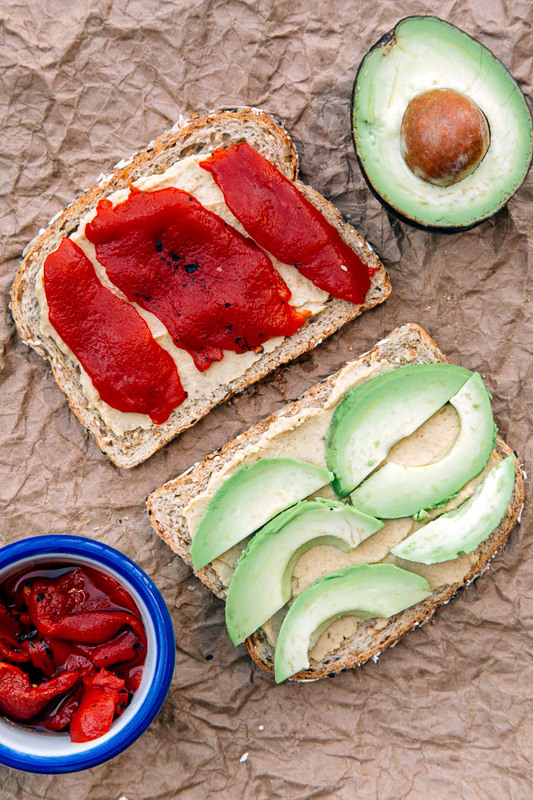 Layer the peppers and avocado on one slice, then top with the second piece of bread. 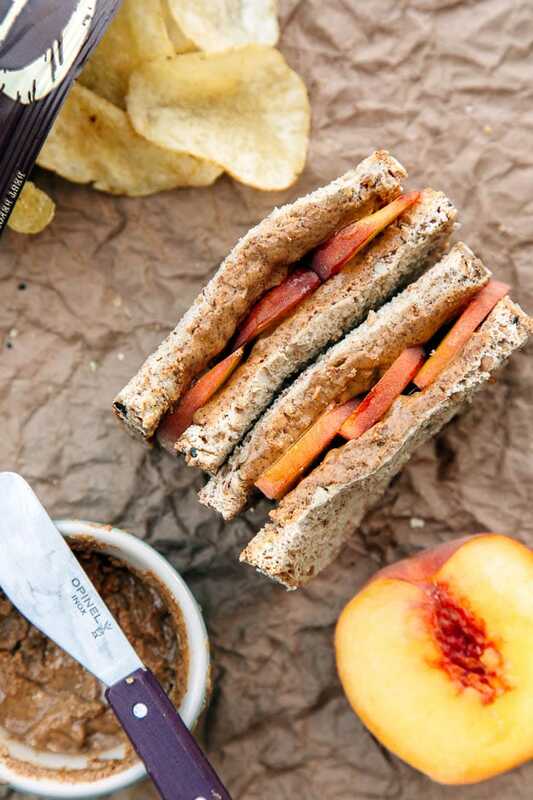 *We highly recommend stuffing some chips into this sandwich, too, to give it a bit of crunch!